Call it Summer Training for the Dodger pitching staff, with a cautious eye toward the Fall Classic. As the month of August dawns, there are 29 pitchers currently in the Dodger organization who have been part of the team’s 40-man roster this year. Yep, 29. But with their July mound acquisitions limited to Dylan Floro, Zach Neal and John Axford, is 29 enough? 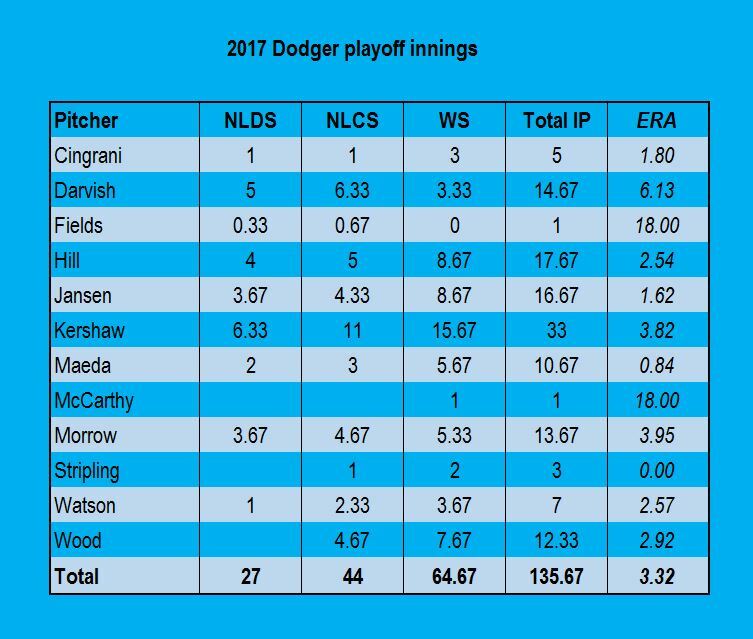 In the 135 2/3 innings the Dodgers threw in last year’s postseason, the Dodgers used a total of 12 pitchers — two of them (Josh Fields and Brandon McCarthy) for an ineffective inning apiece. You would think, out of 28 pitchers, the first-place team in the National League West could find 12 to do the job this fall. Or, if you’re a different you, you could think that the Dodgers have no chance of finding those 12. Clayton Kershaw: If the Dodgers reach the postseason and Kershaw throws the first pitch of their first playoff game, he will become the first player in MLB history to do that for a single franchise in six consecutive years. (Note that only the 1995-2005 Atlanta Braves and 1995-2007 New York Yankees have had longer streaks of consecutive postseason appearances than the 2013-18 Dodgers would have.) 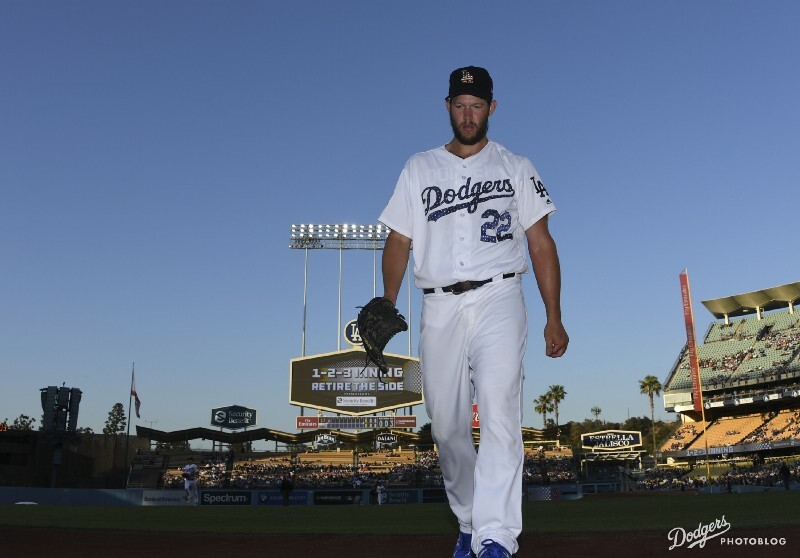 Though he’s still the Dodgers’ main man on the mound, and though he was effective in five of six appearances in the 2017 playoffs, no longer does the franchise look to put their entire World Series hopes on Kershaw’s shoulders. Bullpen worries or not, expect the Los Angeles to aim to get seven innings out of Kershaw in a start and settle for six. Walker Buehler, Rich Hill, Kenta Maeda, Ross Stripling, Alex Wood: The Dodgers need only three other starting pitchers besides Kershaw in pursuit of a World Series title. That means at least two from this batch should end up in the bullpen as multi-inning weapons. As for who stays in the rotation, we’ll have to wait and see. We’ve already seen what Maeda and Stripling can do in relief, but they’ve more than earned consideration to start if they enter the playoffs on a roll. If any of these five to see much of an opponent’s third time through the order, it will be an upset. Scott Alexander: Bumped to the minors a month into his first Dodger season with a 6.35 ERA and 1.85 WHIP, Alexander has been quietly superb since his May 9 return, with a 2.21 ERA and 1.01 WHIP — and he leads NL relievers with a 73 percent grounder rate. He’s still capable of allowing big hits, like last week’s Carlos Santana bases-loaded triple, but perfection isn’t a realistic goal. So, while he hasn’t been assigned a strict eighth-inning role, Alexander has stood out among those trying to get the ball to the big man from Curacao. Kenley Jansen: He was absolutely dominant in 2017 until World Series Game 2. He has been more fallible in 2018, but he’s still very much the guy. Here’s hoping experience makes him even stronger when it counts. Understand that we already have eight veritable locks here, including a bullpen that (for the sake of argument) features Maeda and Jansen from the right side, Wood and Alexander from the left. That leaves 20 men competing for four spots. Take one from each of the next three groups, and that brings the pitching staff up to 11. Hyun-Jin Ryu, Dennis Santana, Julio Urías: Ryu was excused from the 2017 playoffs and is only just beginning a rehab assignment from a terrible midseason groin injury. But he was quite effective (2.12 ERA) in his six starts this year, so it’s not crazy to think he might start a Game 4 for the Dodgers, allowing them to push another from the rotation into a relief weapon. Or, Ryu could pitch in relief himself if they train him in September for that role. That being said, an even more tantalizing possibility is Urías. Out of action for more than a year, Urías — who finally turns a wizened 21 on August 12 — has also entered rehab mode. No one knows what to expect from him at all — his shoulder injury was not for the meek. But if he’s recovered and available for short multi-inning stints, he’s potentially the second or third best pitcher on this staff. Santana’s injury was not as serious as that of Urías, but his ceiling isn’t as high, either — and he has basically no experience in the majors. Seems unrealistic to think he’ll leapfrog into the playoffs, but he bears mentioning. John Axford, Tony Cingrani, Caleb Ferguson, Adam Liberatore, Edward Paredes, Zac Rosscup: Axford, the newest Dodger, is a righty who is included because lefties have a .552 OPS against him this year. The Dodgers didn’t trade for him today not to be on an October roster, but it wouldn’t be the first time a midseason pickup fell through. Everyone here has shown the ability to get a key lefty out, but other than Axford or a healthy Cingrani, the most likely to emerge is Ferguson, a pleasant surprise in the bullpen in 2018. We’ll see how pressure-tested Ferguson gets in the next two months. Pedro Baez, JT Chargois, Josh Fields, Dylan Floro, Erik Goeddel, Daniel Hudson: If you’re fretting over the Dodger bullpen, it’s probably because no one in this sextet jumps out as a definitive right set-up man the way Alexander just about does from the left side. Baez didn’t make last year’s playoff roster. Fields did but barely pitched, and doesn’t have a return date from the disabled list yet. Chargois has been inconsistent. Floro and Goeddel have shown flashes of promise. If the playoffs started today, Hudson would be on the roster, but it’s this group that makes someone like Maeda seem so necessary for relief. 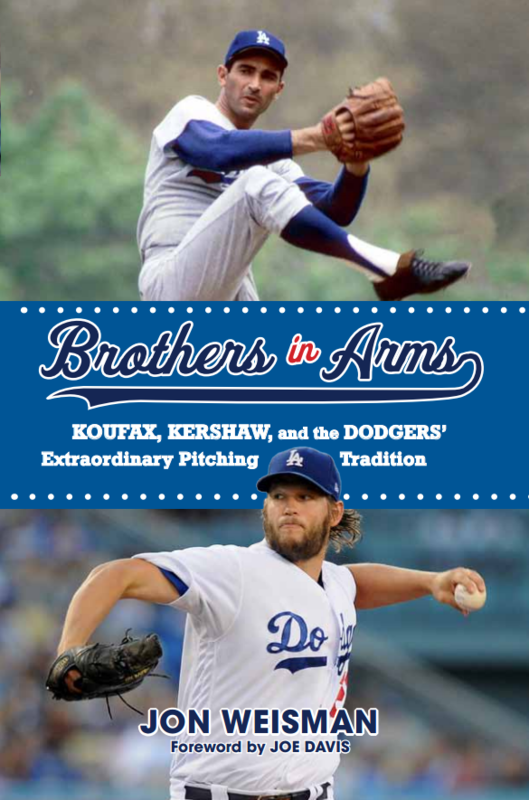 Daniel Corcino, Yimi Garcia, Ariel Hernandez, Zach Neal, Brock Stewart, Pat Venditte: I don’t mean to be dismissive, because there are some fun pitchers in this group, but if the Dodgers have gone this far down the list, then something very, very unexpected has happened. For the 12th spot on the roster, that would leave a competition perhaps led by names like Ryu, Cingrani and Ferguson from the left side, and Fields, Floro and Goeddel from the right. If you’re asking me whether the Dodgers can win a World Series with that pitching staff, my answer is yes. If you’re asking me whether I wish for a more reliable crew, the answer is also yes. And if you’re asking if the Dodgers have to make the playoffs first for any of this to matter, the answer is most certainly yes.